HAND PAINTED ONE-OF-A-KIND RAK ATTACK MONSTERS are here!!! These RAK (Radioactive Atomic Kritter) Attack Monsters are the gold standard for collectible creatures!!! The RAKster is offering these one-of-a-kind RAK ATTACK MONSTERS hand-painted by the mad monster maker himself! These high end offerings have been painted and finished by their creator, RAK, and will be ridiculously prized as something really special to have and to treasure! Some of these will also be available on www.bookandgame.net, so be sure to check out that site as well! Remember, these are also available UNPAINTED and INEXPENSIVE so you can paint them any color combo you want. 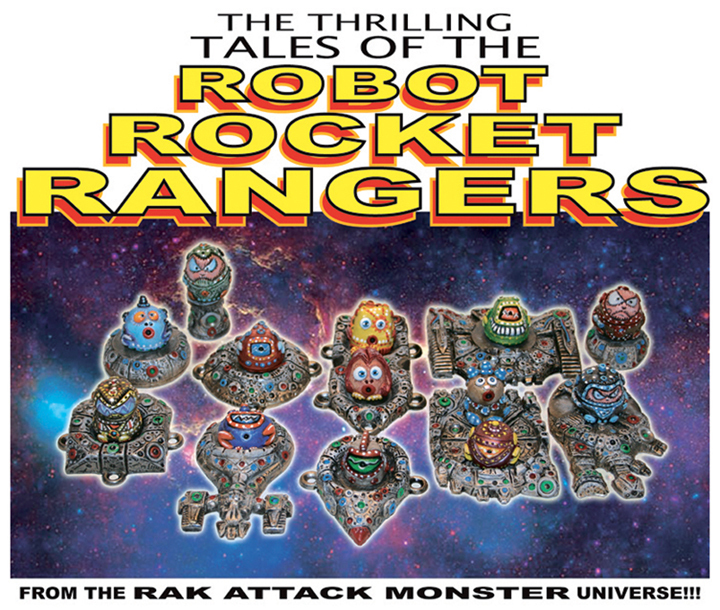 The unpainted RAK ATTACK MONSTERS are available on their main page (click here)!!! "Thanx for taking the time to check these out!!!" GET YOUR HAND PAINTED ONE-OF-A-KIND RAK ATTACK MONSTERS BELOW!!! CHECK OUT OUR OTHER RAM PAGES!! !